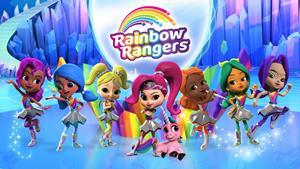 Genius Brands International's (Nasdaq:GNUS) new animated preschool series, Rainbow Rangers, continues to grow week to week since its debut on Nick Jr. on November 5th. Rainbow Rangers Week 2 Nielsen Numbers Continue to Grow!!! I have a quick update for those of you who are tracking the launch of Rainbow Rangers and its strong Nielsen performance debut the week of November 5th, in which we were one of the highest rated programs on Nick Jr. I am ecstatic to report that in Week #2, once again, Rainbow Rangers continued to improve and grow its ratings numbers, against our key target demo of Girls 2-5. In our Week 1 launch, we were at .7, and in our Week 2, we moved up 16% to .81. This not only placed us amongst the top shows on Nick Jr., but also delivered a higher Nielsen rating than a number of established hit franchises. As for the critical metric of audience retention, Rainbow Rangers also continued to retain and improve our lead in audience this week by an average of +36%. At the end of week 1, Nick Jr. added encore performances for Rainbow Rangers on both Saturday and Sunday, and during Week 2, Nick added TWO PRIMETIME BROADCASTS this last Sunday night, November 25th, from 8pm-9pm. These are both strong steps speaking on behalf of the shows ability to perform. Meanwhile, all of the Rainbow Rangers’ consumer products are now poised for the retail market launch in Q3 2019. Successful shows that attract viewers sell a lot of consumer product merchandise, and we believe that is exactly where Rainbow Rangers is heading! There could not possibly be better news to report!